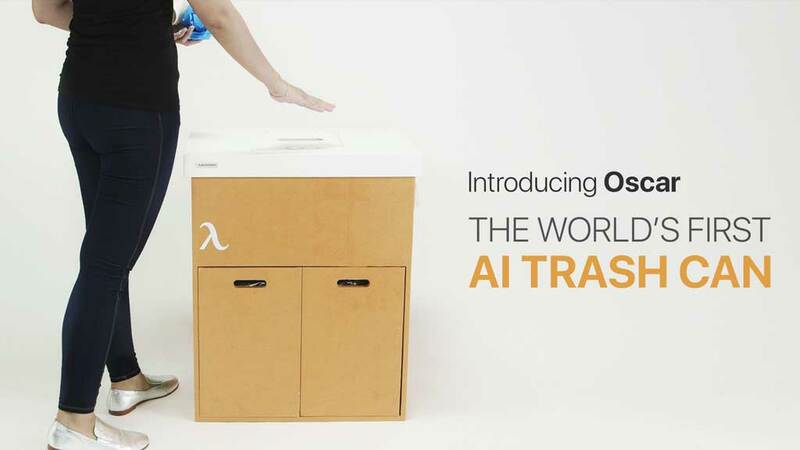 Meet Oscar: a robotic trash can with AI that can take the pain out of recycling. It uses artificial intelligence and image recognition, using a digital camera and LED lights, to identify each item and put it in the right compartment. Oscar is WiFi enabled. Its neural network is trained with 50 most common items you are likely to throw away. You can show this trash can what is recyclable or non-recyclable, and it will learn. Oscar has a minimalist design with a biodegradable cardboard skin.